Last week, apparently unrelated events involving Prime Minister David Cameron and President Obama could show an out-working of prophecies about accelerating events. Although being mutually exclusive, the effects of these events have global ramifications. We’ll look at those words first and then the events, then their common denominator and the relevance of those contemporary, as well as of ancient, prophecies to the events. Anyone who retorts that they were irritated by just one report needs to view it in the wider context of BBC bias. Read How a 3-min dawn broadcast generated a full-blown clash between the Beeb and Number 10, with fuller background at Under siege the ‘biased’ BBC fights for its life – but that’s nothing! There’s also the huge raft of issues monitored by BBC Watch, as in their latest on BBC’s Arab-Israel conflict obsession distorts history. Regular readers are aware of many instances of pointing out the BBC’s unethical and unprofessional deep-seated prejudice that makes its reporting totally unreliable – even seeming to support terrorism (BBC tag refers)! Hopefully, the reaction by the government’s Tories will severely shake the BBC and delay the renewal of its Charter, and even scrap the totalitarian levy of its annual licence fee. ‘This White House campaign would be accompanied by leaks from Washington for putting Netanyahu and his policies in a derogatory light…some senior sources in the US capital confided to DebkaFile that administration joy over political developments in Israel could quickly prove premature – either in view of another round of violence overtaking the Middle East, or by once again misreading Israel’s political map before stepping in and so failing in its object..’. In my opinion interference in the internal political process of another nation, especially a democratic ally, is unconscionable. 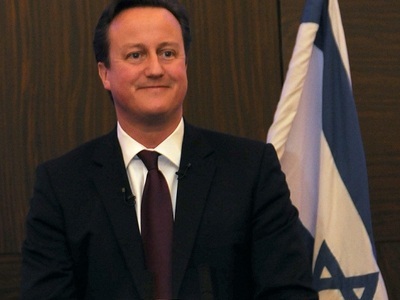 Obama’s well-known disdain for Bibi Netanyahu is poisoning Israeli politics. Clinton did the same during Netanyahu’s first term as PM – and we know the humiliating impeachment he suffered! Therefore, the US may now be in for some surprises in the next few months. 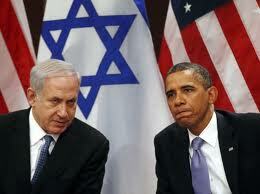 UPDATE 9/12: Washington Beacon – Congress demands Obama explain rumoured sanctions against Israel. The underlying common denominator in both instances is God’s plans and purposes for His covenantal people, the Jews and the land He designated for their homeland. In their unabashed hostility to them the BBC and President Obama have chosen to go against the One who is not to be mocked. because these Arab leaders are marginalizing the Palestine issue, Hamas leader Meshaal tried re-igniting violence in Jerusalem but he went unheeded! The heart of these issues lies in Obama’s Cairo speech and later betrayal of Egypt’s president Mubarak by elevating the Muslim Brotherhood, encouraging its revolution and allowing infiltration into the USA. (Walid Shoebat, ex-Palestinian extremist with many contacts in the Middle East, reports Obama’s half-brother is influential in the MB.) Saudi Arabia took grave exception to Potus’ several actions, as noted in my correspondence on those events. So maybe it’s time to even the score? What fascinating times we’re living in! This entry was posted in Media, Middle-East, News, UK, USA and tagged Acceleration, Arab Spring, BBC, Cameron, Egypt, MuslimB'hood, Netanyahu, Obama, S.Arabia, Terrorism by Richard Barker. Bookmark the permalink. If not in our courts then certainly in Heaven’s, Lynne.